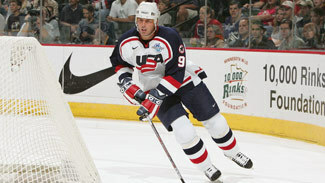 NEWARK, N.J. -- Scott Stevens, one of the most revered defenseman ever to don a New Jersey Devils jersey, will be behind the bench as an assistant coach to Peter DeBoer in 2012-13. Devils general manager Lou Lamoriello made the announcement Tuesday following the conclusion of the second day of the team's development camp at AmeriHealth Pavilion. Also joining the coaching staff next season will be Matt Shaw, who spent the past three seasons with the San Jose Sharks as an assistant for Todd McLellan. DeBoer's staff will include assistant coach Dave Barr and goalie coach Chris Terreri, who won the Stanley Cup with New Jersey as Martin Brodeur's backup in 1995. Barr and Terreri were part of the staff last season. The move comes on the heels of losing assistants Adam Oates and Larry Robinson in a span of 13 days earlier this month. Oates left to become coach of the Washington Capitals and Robinson was hired as an associate coach by the Sharks. 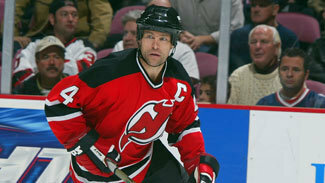 Stevens is best remembered as one of the more feared defenseman in the NHL during his 13 seasons with the Devils. He captained the team to three Stanley Cup titles, was inducted into the Hockey Hall of Fame in 2007, and in 2008 became the first player in franchise history to have his jersey (No. 4) retired. "I've been thinking about [this] all year, about getting more involved, getting behind the bench and getting closer to the action," Stevens told the media via a conference call. "With Larry leaving, it was unfortunate, but it kind of opened the door for myself and I'm looking forward to the challenge." Stevens, 48, said he called Lamoriello to discuss working this week's development camp and the conversation switched to the possibility of becoming a full-time assistant. He said it was tough not being around the game on a full-time basis but said he's "excited to be part of the game and be a part of the process to help defensemen." Stevens also said it's much too early to even think about possibly becoming a head coach. But as an assistant, Lamoriello said, he's just what the Devils need to replace Robinson, a Hall of Famer in his own right. "What he brings you can't teach … he's played for some great coaches," Lamoriello said of Stevens. "When I went behind the bench, I had Scott come on the ice and I worked with him hand-in-hand. He knows what he brings and the way he thinks, and we all know the type of competitor Scotty is." Stevens will help run the team's defense while Shaw will work closely on the power play. "We have a lot of good, young defensemen and a lot of size, which I like," Stevens said. "I definitely like size on defense. They take up a lot of space and make things difficult on the other team's forwards." A 13-time All-Star whose playing career spanned 22 seasons with the Capitals, St. Louis Blues and the Devils, Stevens ranks fourth on New Jersey's all-time games-played list (956), fourth in assists (337) and is tied for seventh in points (430). "I've been thinking about [this] all year, about getting more involved, getting behind the bench and getting closer to the action. With Larry leaving, it was unfortunate, but it kind of opened the door for myself and I'm looking forward to the challenge." "I think this is the deepest we've been on defense for young, upcoming defensemen in a long time," he said. "I don't think we've ever had this kind of depth before. It's very exciting. You can never have enough defensemen. It's a position that takes some time to develop and we're looking to try to get some of these guys to the NHL as quickly as possible to help our team." Stevens enters his sixth season as a member of the Devils' coaching staff after previously working as a special assignment coach. He also served as a part-time assistant for the Devils under Jacques Lemaire in 2009-10. The 2012-13 season will mark the first time he'll work behind the bench in a game. "He's acquired a lot of experience over the years that has grown in all aspects," Lamoriello said. "I've been extremely impressed with his evaluation ratings and what he offers." Lamoriello said Stevens is one coach he needn't worry about getting through to the players. "You never know sometimes," he said. "Great players don't always make great coaches, but Scotty is a student of the game and always has been. I don't think we have to question his knowledge of defense." Shaw worked with Lemaire as an assistant with the Minnesota Wild in 2008-09 and spent three seasons with Barr as an assistant with the Houston Aeros in the International Hockey League from 2000-03. "Pete [DeBoer] is going to digest everybody that he has at his disposal and find out the best role for them so I don't think [whether I'll be on the bench or upstairs] has been totally determined," Shaw said. "I will be involved with the power play, something I did in San Jose for three years." Shaw said there will be a learning curve adjusting to life in the Eastern Conference after spending the previous five seasons in the West. "I have to have a better understanding of each individual's strengths and weaknesses," Shaw said. "The power-play plan has got to be tailored to the group and individuals that will be a part of it, so we'll have a plan that we believe will work and then find out who fits where." Under the tutelage of Shaw, the Sharks ranked second in the NHL with the man advantage last season with a 21.1-percent success rate. The Devils were 14th at 17.2 percent. Shaw served as a video coach under Lemaire, in addition to pre-scouting opposing teams and making in-game analysis and adjustments. He said he has spoken to DeBoer on several occasions and is very much looking forward to working with him. "Pete is very prepared, very sharp and intelligent in what he was looking for [during the interview]," Shaw said. "I know a number of people in the League who know Pete and who have worked with him and their opinions of him were true. He has a plan and knows how he wants to go about things. I'm glad I fit his mold of what he felt was important to be adding to the staff."